Home • Towards a cash-free world? Tune in at 12.30 p.m. CET on Monday, June 25, 2018 for the next Let’s Talk Innovation, a live interactive discussion on innovation in the payment sector. Will the new technologies replace cash? What would a cash-free society be like? Elie du Pré de Saint Maur, Edenred’s Executive Vice President for Marketing and Strategy, Cyril Bourgois, Operations Director responsible for Casino digital transformation and journalist Anette Burgdorf, who will moderate the discussion, will talk about changes in payment methods in France and worldwide. While new technologies are bringing about an increase in paperless payment, is cash doomed to disappear? As world leaders in transactional solutions and food retail, Edenred and Casino are both observers of and players in these changes. Because cash does not give access to the digital economy, thereby excluding underprivileged users, there is now a real challenge to enable users to take advantage of this rapidly growing economy. Digital transformation and new means of payment are therefore an opportunity to meet the challenge of digital financial inclusion. Over and above their inherent benefits, digital payment methods raise a number of challenges regarding security and learning with the aim of making users more confident by ensuring speed and simplicity. This is an event open to everybody where the public will have an opportunity to put questions directly to the speakers. The event will also be available on catch-up. 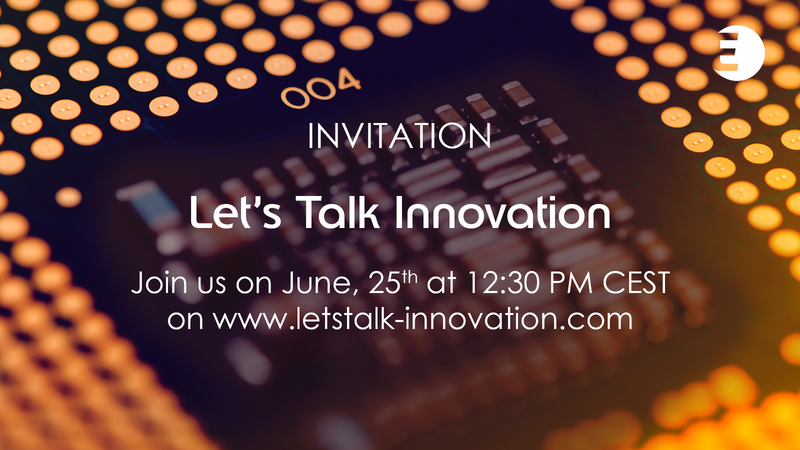 To take part, go to www.letstalk-innovation.com at 12.30 p.m. on June 25th.